Where was that taken? I've vacationed in the Caribbean, but haven't seen a Lion Fish personally. Post edited over 2 years ago by Capn Jack. A little off topic, but I kind of hope you don't see one in the Caribbean. They are an invasive species there. They are native to the Pacific and Indian oceans. Back on topic, nice picture. Post edited over 2 years ago by cicopo. They are well established in the Caribbean & even the Atlantic now. We see lots of them at the deeper dive sites in Cozumel still but the hunting of them has taken a toll on those hanging out in the shallower sites. [QUOTE=cicopo;18091049​]They are well established in the Caribbean & even the Atlantic now. We see lots of them at the deeper dive sites in Cozumel still but the hunting of them has taken a toll on those hanging out in the shallower sites. This can help with just how big a problem they have become. Lionfish!! Can I see more pictures of them? 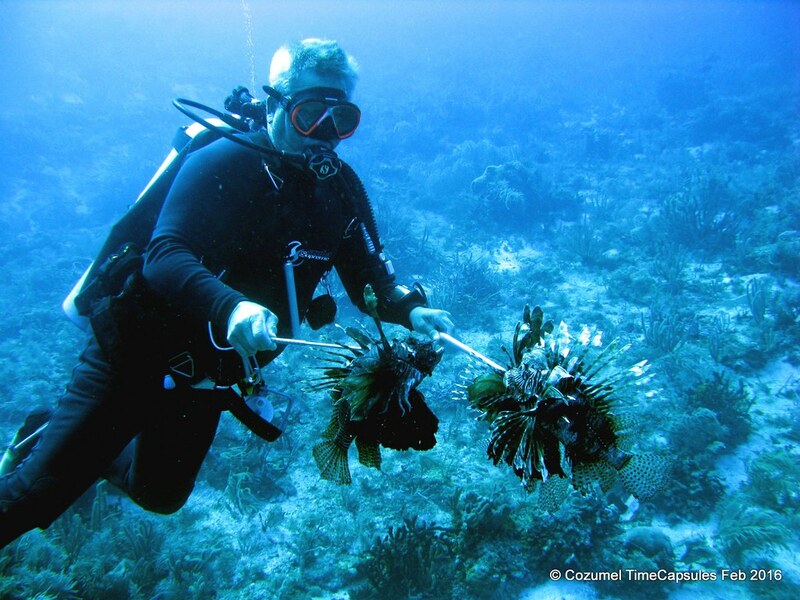 There is now a smartphone app for reporting Lionfish sightings in the Gulf of Mexico.